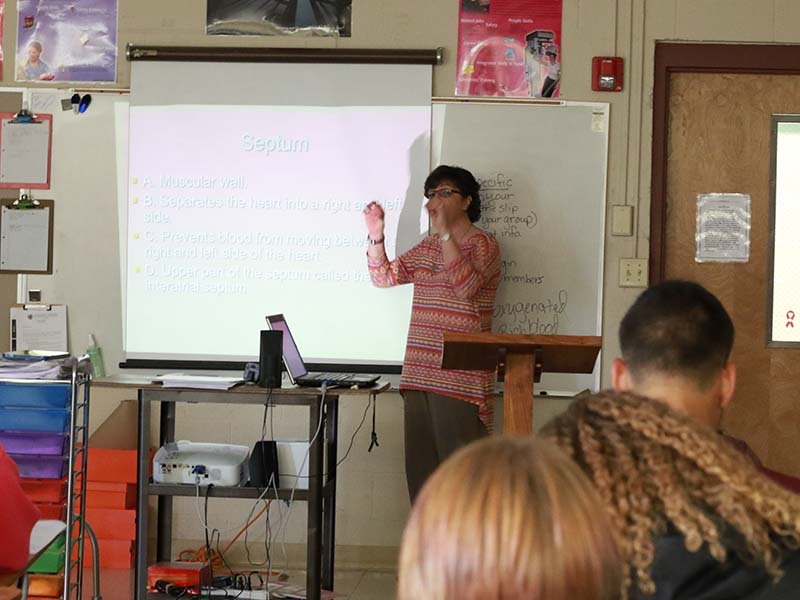 Anatomy and Physiology is an upper level course designed to develop an understanding of the structures and functions of the human body, while relating those to knowledge and skills associated with pathophysiology. Upon completion of this course, proficient students will be able to (1) apply the gross anatomy from earlier courses to a deeper understanding of all body systems, (2) identify the organs and structures of the support and movement systems, (3) relate the structure and function of the communication, control, and integration system, and (4) demonstrate a professional, working understanding of the transportation, respiration, excretory, and reproduction systems. Clinical Internship is a capstone course and work-based learning experience designed to provide students with real-world application of skills and knowledge obtained in a pre-requisite Health Science course. Upon completion of this course, proficient students will be able to pursue certification in the pre-requisite course of Cardiovascular Services or Pharmacological Science once they have graduated and reached 18 years of age. Prior to beginning work at a clinical site, students must be certified in Basic Life Support (BLS), Cardiopulmonary Resuscitation (CPR), and deemed competent in basic first aid, body mechanics, Standard Precaution guidelines, and confidentiality. Business Management & Administration concentrators may also take this course as part of a career practicum/work-based learning placement within the Health Services Administration program of study. Emergency Medical Services is a capstone course designed to prepare students to pursue careers in the fields of emergency medicine. Upon completion of this course, proficient students will be able to: identify careers and features of the EMS system; define the importance of workforce safety and wellness; maintain legal and ethical guidelines; correlate anatomy and physiology concepts to the patient with a medical or traumatic injury and perform EMS skills with a high level of proficiency. If taught with an EMT instructor, students will be given the opportunity to sit for the National Emergency Medical Responder certification. In addition, students will continue to add artifacts to a portfolio, which they will continue to build throughout the program of study. Health Science Education is an introductory course designed to prepare students to pursue careers in the fields of biotechnology research, therapeutics, health informatics, diagnostics, and support services. Upon completion of this course, a proficient student will be able to identify careers in these fields, compare and contrast the features of healthcare systems, explain the legal and ethical ramifications of the healthcare setting, and begin to perform foundational healthcare skills. This course will serve as a strong foundation for all of the Health Science programs of study. Medical Therapeutics is an applied course designed to prepare students to pursue careers in therapeutic services. Upon completion of this course, a proficient student will be able to identify careers in therapeutics services; assess, monitor, evaluate, and report patient/client health status and identify the purpose and components of treatments. Nursing Education is a capstone course designed to prepare students to pursue careers in the field of nursing. 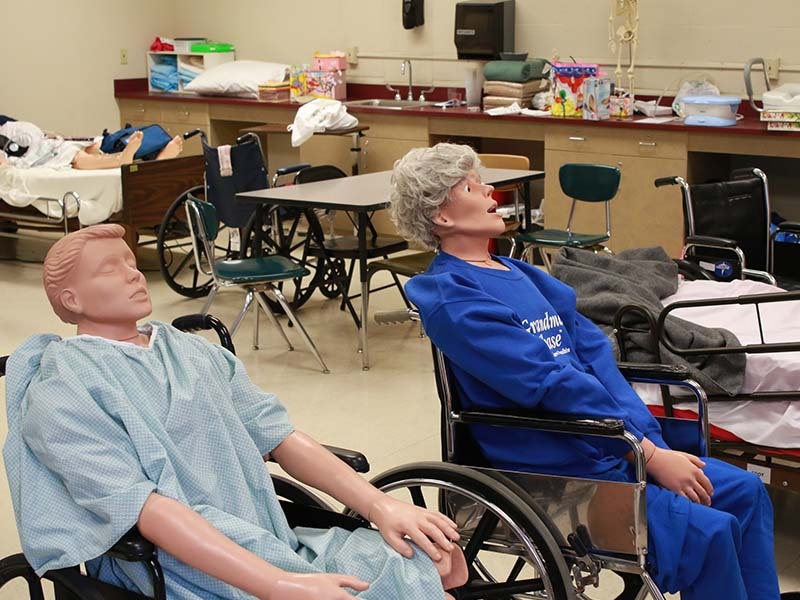 Upon completion of this course, a proficient student will be able to implement communication and interpersonal skills, maintain residents’ rights and independence, provide care safely, prevent emergency situations, prevent infection through infection control, and perform the skills required of a nursing assistant. At the conclusion of this course, if students have logged 40 hours of classroom instruction and 20 hours of classroom clinical instruction, and if they have completed 40 hours of site-based clinical with at least 24 of those hours spent in a long-term care facility, then they are eligible to take the certification examination as a Certified Nursing Assistant (CNA). Rehabilitation Careers is an applied course designed to prepare students to pursue careers in rehabilitation services. Upon completion of this course, a proficient student will be able to identify careers in rehabilitation services, recognize diseases, disorders or injuries related to rehabilitation services and correlate the related anatomy and physiology then develop a plan of treatment with appropriate modalities.